In Neymar Jr’s family home, tears, anger and shock are subsiding and resignation takes over. Germany’s Andre Schurrle strokes the ball into the Brazilian goal and a home World Cup has morphed from opportunity into devastation. 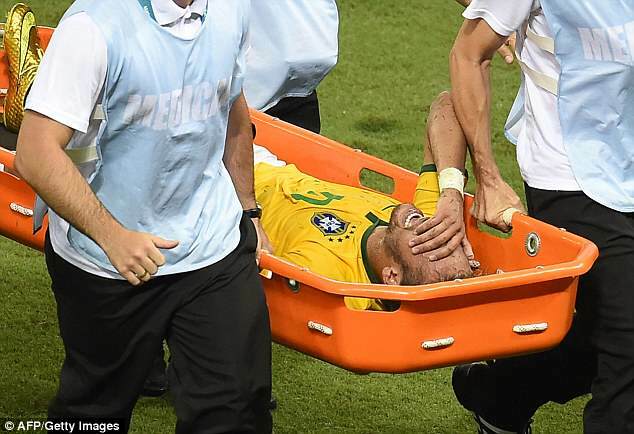 Seventy-nine minutes and seven goals into the semi-final and a wheelchair-bound Neymar decides enough is enough. 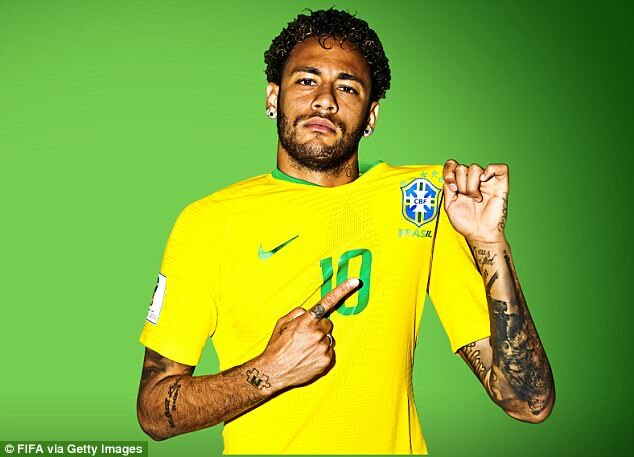 The 2014 World Cup was supposed to mark Neymar’s ascent to deity status in Brazil, when his name would join the lineage of Pele, Socrates, Bebeto and Ronaldo. Instead, a crude challenge from Colombia’s Camilo Zuniga curtailed his ambitions in the quarter-final. Neymar fractured his third vertebra and Brazil’s collective spine then surrendered to Germany. Leaving the hospital in a wheelchair, he was told by doctors he should be grateful if he ever walked again. Yet this World Cup in Russia offers redemption for Neymar and the national team. 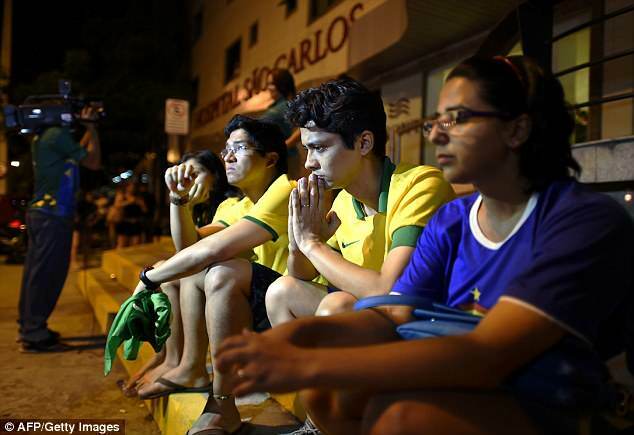 Those players recall the public response to the 7-1; how the nation’s flag was burned in one square in Sao Paulo and tear gas was needed to quell disgruntled Brazilians in Recife. Optimism has returned. During qualification, Brazil scored more than twice as many goals as Argentina and finished 10 points clear of second-placed Uruguay. Brazil even beat Germany in a friendly in Berlin in March. Neymar is now 26. He is the world’s most expensive footballer after Paris Saint-Germain spent £198million to extract him from Barcelona last summer and a reported salary of £600,000 per week. 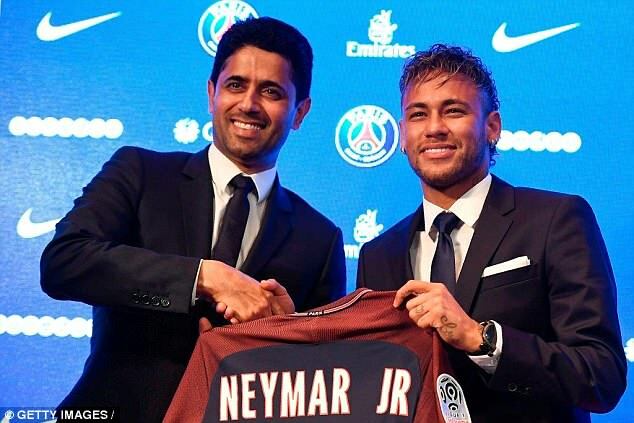 The most jaw-dropping statement on the day of his unveiling came from PSG president Nasser Al-Khelaifi. He explained that before signing Neymar, he valued his club at €1billion. ‘And now it is worth €1.5bn,’ he smirked. On the ESPN World Fame list for athletes, Neymar ranks fourth behind only Cristiano Ronaldo, LeBron James and Lionel Messi. His social media following is in excess of 90 million, which is over 30 million more than US President Donald Trump. To some, Neymar is a true hero, a player who brings joy and pleasure to millions. To others, he is the epitome of the sport’s most rotten excesses. He is a riddle of contradictions, so just who is the real Neymar? In the ramshackle streets of Praia Grande, some young teenagers have set up a street game. It is throwback stuff; jumpers for goalposts, shirts against skins, and for a few hours every evening, this crumbling and decaying road is their Maracana. Between the ages of seven and 14, this was home for Neymar and his family. Located on the coast, 45 minutes from Sao Paulo, children face a daily battle to extricate themselves from a life of petty crime, gang violence and drugs. Neymar very nearly did not make it that far. In Luca Caioli’s biography of the superstar, he recalls how, as a four-month-old baby, Neymar (known as Juninho by his family) was in the back of the car when his father suffered a life-threatening accident. In the rain and fog, the family car was hit head-on. Neymar Sr suffered a dislocated pelvis. Neymar Jr was thrust under his seat by the impact and was smothered in blood as part of the vehicle teetered over the road edge with a choppy river below. All three survived, and the baby had only a cut to the head. 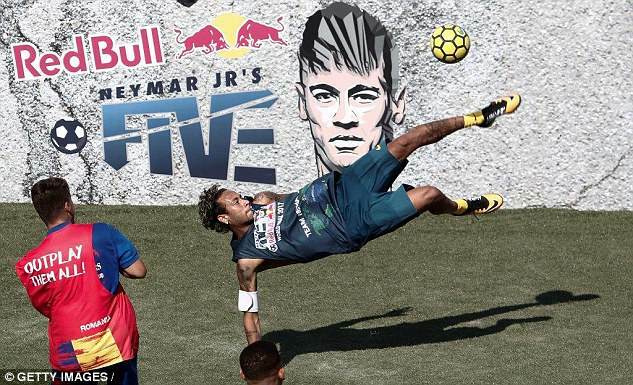 In Praia Grande, Neymar has remained true to his roots. At number No274, Rua B, the house hand-built by his father and two friends is now occupied by a cousin. In 2014, the family opened the Neymar Institute. It is radically changing the lives of local children. Plonked between houses that are barely houses and battered shop fronts sits a pristine and futuristic safe haven for the area’s most deprived children. The facilities better those at England’s most exclusive private schools. Neymar’s initial £7m investment has provided football pitches, a swimming pool, a dance suite, volleyball courts, tennis courts and a basketball space. The institute is available only to low-income families and there are tie-ups with six local schools. Neymar and his father continue to invest £1.6m per year. The centre director, Joel Moraes, told The Mail on Sunday: ‘It has reduced violence levels, improved education and offered hope. In essence, the Neymar Institute ensures free private healthcare, education and a community hub for over 1,000 local kids. Sponsors contribute. So when we see Neymar lining up for a commercial shoot and roll our eyes, it appears the incentive is not only his promotion but also ensuring investment for his town. 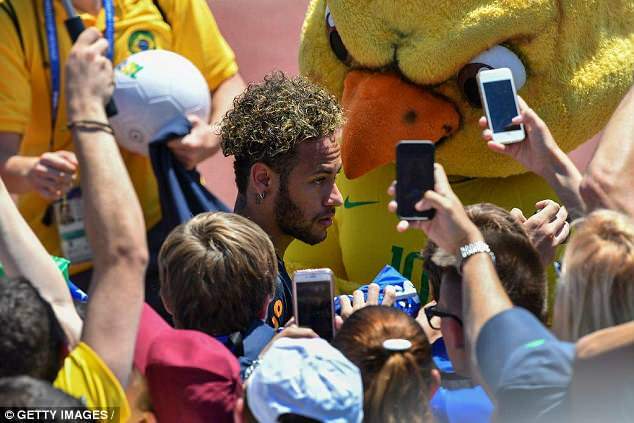 In Brazil, the obsession around Neymar is fervent. He is adored because he encapsulates the free-wheeling spirit of Brazilian football; the joy, the tricks, the ability to tease smiles and happiness with dancing feet and swerving hips. Neymar was formed by small-sided futsal, where he learnt to navigate tight spaces and deceive opponents. For Neymar, the pull of Brazil is strong. He stayed at Santos longer than expected, resisting interest from Real Madrid as a 14-year-old. Yet while his father claimed Neymar hankered for home, the Spanish media reported his agent wanted extra cash. In 2010, West Ham offered £12m and the platform for Neymar to use the club as a stepping stone in the manner of Carlos Tevez. The bid was rebuffed. Yet when Chelsea came in, only an emergency sales pitch by Santos marketing manager Antonio Neto, in which he argued Neymar could become a Brazil sporting icon to rival of Ayrton Senna, persuaded the family to remain once more. When he was 21, however, Barcelona signed him for £49m. 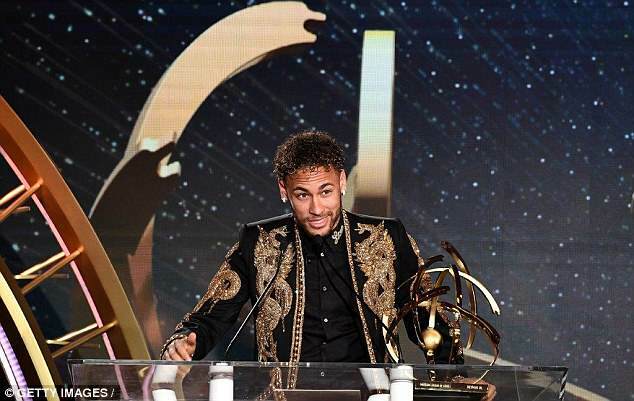 He joined with Lionel Messi and Luis Suarez to create a devastating trio that lifted the Champions League in 2015, with Neymar scoring in the 3-1 victory over Juventus in the final. Yet last summer, he decided to leave Messi’s shadow and walk alone at PSG. The figures are eye-watering and some accounts have his father claiming as much as £36m from the deal. The pressure is huge: if he does not win the Champions League with PSG or the World Cup with Brazil, many will cast him as a failure. In Paris, it has been a testing start. His campaign was hit by injury and PSG crashed out of the Champions League at the round-of-16 stage. PSG manager Unai Emery struggled to accept Neymar’s status. Certainly, it entered prima donna levels. Reports emerged that Neymar considered himself above the manager’s exacting video analysis sessions. He was the only first-team player to miss the club’s Christmas party at Disneyland Paris. Instead, he went to Brazil, where he was pictured socialising. Neymar’s personal image team would send a factfile to journalists ahead of PSG games — with facts only about Neymar. He also has his own physio and tensions between players surfaced in September when Edinson Cavani wanted to take a penalty but Neymar publicly overruled him. Talk of a move to Real Madrid persists. ‘At Man City, the leader is Pep Guardiola. At PSG, it is Neymar,’ concluded Emery in May. It is not easy to reconcile the showbiz Neymar with the personality painted at home. Despite Barcelona’s outcry over his departure, Neymar remains close to former team-mates. He recently did an interview with Gerard Pique for the Spaniard’s Player’s Tribune website. Now the time has come for Neymar’s own star to rise.